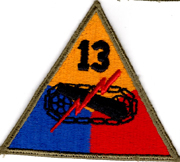 WWII 13th Armor Division Patch. 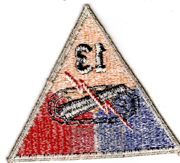 Fully machine embroidered. Unused. This is a stock photo and we have a quantity of these, so might be slight variations in what you receive.